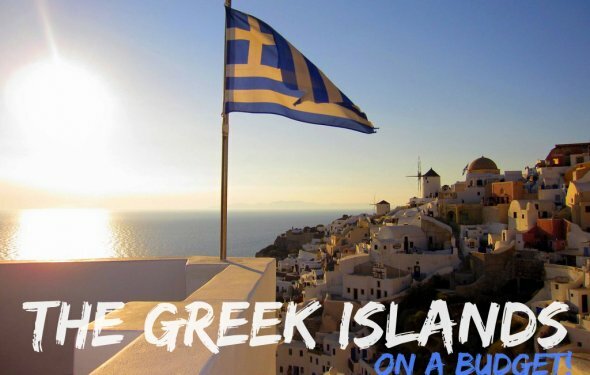 Located in the Cycladic Islands and near Santorini, Ios has the wildest nightlife out of all the Greek islands. It is the summer party island where days are spent hungover on the beach while nights are spent eating cheap food and drinking. There’s a lot to do on the islands if you don’t want to party, the but the truth is, 95% of people come here to party and the average age is 22. If you don’t want to do that but still want to see Ios, it’s best to go to the eastern part of the island where it’s quieter. Don’t let Ios’ party reputation deter you from visiting, it’s a beautiful island and only busy June-August! Hostel prices – Hostels start at about 12 EUR per night for a dorm room and 30-40 EUR for a private room. Camping starts at 6 EUR a night. During July and August, prices double. For long term stays, you can usually find a private guesthouse for around 25 EUR per night. Francesco’s in the town center or Far Out Beach Resort are the two best and most popular places to stay (I prefer Francesco’s since it’s centrally located). Budget hotel prices – Budget hotels start at about 45 EUR a night, or 30 EUR in the off-season. Average cost of food – Ios is filled with cheap food. You can eat cheaply with gyros or other street food for only around 4 EUR. Most meals will cost around 8-11 EUR, including a drink. For a good restaurant meal, expect to pay around 18 EUR. The nicest places on Ios cost around 27 EUR including a glass of wine. Transportation Costs: The local bus costs 2 EUR and only runs along the island’s main road. You can rent ATVs for about 22 EUR per day to get to the beaches and parts of the island further afield. The local bus only runs until about 7pm after which you’ll need to take a taxi. Rent an ATV – A fun and popular way to travel this is the cheapest way to get around the island. Don’t try renting a car; they are very expensive. Eat lots of gyros – A good way to save money is to eat the cheap Gyros and sandwiches from places like Porky’s and Club Sandwich. Buy your own alcohol – Ios is a place where people drink. You can end up spending a lot of money if you aren’t careful. Drink your own alcohol before heading out and then stick to the 1 EUR shot bars. Otherwise you could find yourself spending close to 45 EUR per night! Mylopotas Beach – As one of Ios’s most popular beaches, its white sand stretches for miles. It’s a great place to hang out and kill that hangover you got at the bars the night before. It doesn’t get busy until about 1 p.m. so if you arrive early, you can stake your claim to some of the best spots. The beach stays busy until after sunset. The Archeological Museum – It’s always good to get the history of a place and this museum let’s you do that. The museum is pretty small but it’s informative. It’s closed often so you might have to ask around as to when it will open. Homer’s Tomb – Homer’s claim to fame is writing the Odyssey and the Iliad. It’s said Homer is buried here because his mother was buried here as well. The tomb is far away from the town and you’ll need to rent an ATV to get there. The trip takes about 30 minutes. The “tomb” is just a headstone but as a bonus you get amazing views off the surrounding cliffs. Shop in Chora – The main town is a great place to do some shopping. You can find a good selection of clothes and gifts that are a lot cheaper than on Santorini and Mykonos. Do some water sports – You can scuba dive, rent a banana boat, or take a boating trip around the island. Most of the activities are booked from Mylopotas Beach. Eat on the harbor – If you are looking for good seafood, Ios has it. Seafood here is cheaper than most other islands in the region so it’s better to get your fix here if you can. Eating down by the harbor also affords you stunning sunset views. I try to eat here once or twice while on the island. Chora Village – This tiny village has a population of a mere 1, 600 people. During the day, there isn’t much going on, but at night, in the central square, many people gather for drinks, music, and fun. Dance the night away – Ios is famous for its nightlife. It’s the main reason most people come to the island during the summer time. The bars get busy around midnight and stay busy until seven or eight in the morning. This is a serious party island and if you are going to stay near the town, be prepared to either drink or deal with lots of drunk young travelers. Skarkos – This is pretty much the only archaeological site on the island. It is exceptionally well preserved and features some really amazing architecture dating back to the Cycladic period. There is a great collection of old utensils made from stone, metal and bone to see, as well as some old pottery and tools. Find privacy at Maganari Beach – If you want a break from the young party crowd, you can head to Maganari Beach for some seclusion. Few people know about it, but you can find it on the south side of Ios. Starlite Travel The Company was formed in 2008 as a Travel Agent / Tour Operator specialising Luxury holidays as well as Budget holidays to all over the world. This UK organisation is has its headquarters on Broughton Lane, Manchester, England. Headed By Mr. Ash. H. Starlite Travel are a member / Franchisee of the Global Travel Group Plc.